In order to attain highest level of satisfaction of our customers, we are readily immersed in bringing forth Cotton Linen Prints Fabrics. Being a quality oriented organization, we are involved in providing a supreme quality range of Cotton Linen Shirting Fabric. Leveraging the skills of our qualified team of professionals, we are engaged in providing Plain Cotton Linen Shirting Fabric. Shree Bhairav Fabrics Pvt. Ltd. 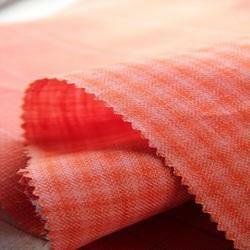 This Cotton Linen Fabric demands little in terms of maintenance. 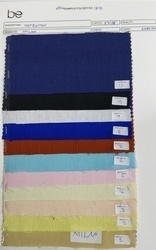 We are betrothed in providing the premium quality assortment of Cotton Linen Shirt Fabric to our patrons. These products are available in diverse types of designs that meet on customer’s demand.